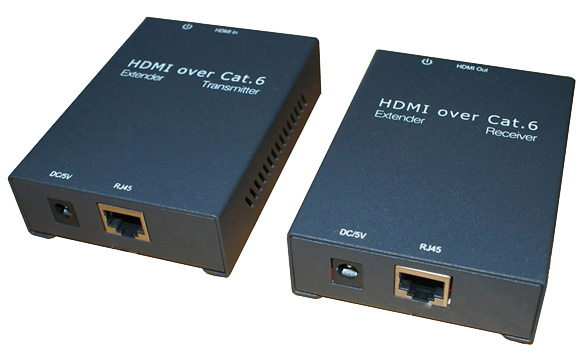 This HDMI Extender over single CAT uses one piece of CAT5e/6 cable to extend the HDTV display up to 60 meters for 1080p. It not only breaks the limitation of the HDMI cable transmission length，but also has more flexibility and convenience in cable construction. • One pair as a full functional module, no need of setting. • One piece of CAT-5e/6 cable can substitute HDMI cable to achieve long distance transmission. • Follow the standard of IEEE-568B. • Transmission distance can be up to 60 meters for 1080p using CAT-6 Cable. • Auto-adjustment of feedback, equalization and amplify, the user does not need to care about the length of the cable. • Support highest video resolution 1080p. 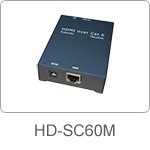 • Support 225MHz/2.25Gbps per channel (6.75Gbps all channel) bandwidth. • Support 8bit per channel (24bit all channel) deep color.